Rice is one of the main items you can find at a food pantry if you are ever in need. This is a great staple to have on hand, to throw a meal together with. It also provides many nutrients. You can find that here. For lunch today we had leftover chicken. We cut it up, Added it to frozen broccoli, seasoned the meat and broccoli and added it to some rice. The chicken in this picture is cut up well for Matthew to eat it. Jim and I love Soy Sauce, so we sprinkled some of that on and buttered the rice. We make rice meals quite often so I thought I would share some ideas you can use to make your own rice meal with leftovers. Step One: Cook your rice while you move on to the next step. When it is done butter it while it is hot if you like and cover it until you are ready to eat. Canned Chicken I like to take it out and cook it up like a stir fry in oil and seasoning when using it for this. Any type of seasoned sauce like Teriyaki, Sweet and sour etc will work but you can also just use Soy sauce and your seasoning. Step 5: Throw all the ingredients that you chose from step 2-4 together and cook it. can be cooked in a little oil or some bacon grease if you used bacon as the meat. 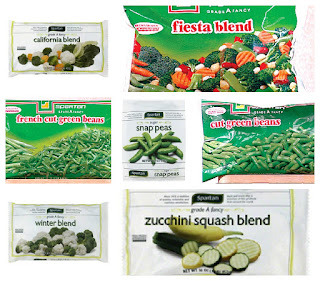 It If you chose a frozen veggie, cook it per package directions before adding it to a pan. Serve the veggie and meat mixture over a pile of rice. Enjoy your creation!